MySQL 8.0 makes it possible to write queries that do more. MySQL can now traverse hierarchies, analyze data in new ways, and combine JSON and spatial data with traditional types -- all in the same query. In this talk, we'll look at common table expressions (CTEs), window functions, geography support and JSON functionality, and how these can be used to do things no MySQL query has ever done before. If you're curious about what these features are or what you can do with them, then this talk is for you. Norvald has been at Oracle since 2011 and is the MySQL optimizer team lead, responsible for query optimization and execution. 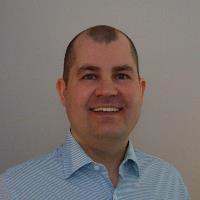 He holds a PhD in Computer and Information Science from the Norwegian University of Science and Technology.